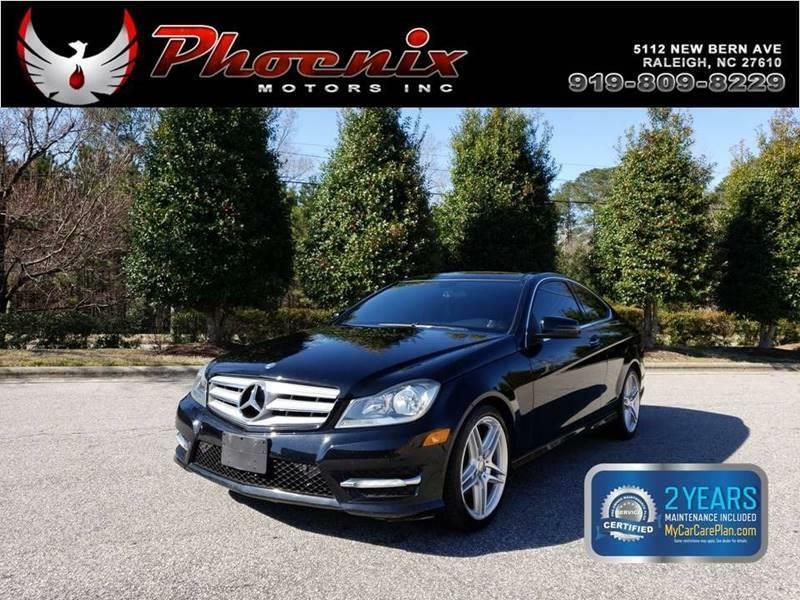 I would like to learn more about this 2013 Mercedes-Benz C-Class C 250 2dr Coupe. Please contact me as soon as possible! For 2013, the C-Class saw a number of changes that included a larger (3.5-liter) V6 for the C300 4Matic that delivers better performance and fuel economy than the former 3.0-liter V6. The C250 and C300 4Matic trims come standard with 17-inch wheels, automatic headlights, LED running lights, automatic wipers, a sunroof, cruise control, dual-zone automatic climate control, eight-way power front seats (with adjustable lumbar), MB-Tex vinyl upholstery, a tilt-and-telescoping steering wheel and auto-dimming mirrors. Electronic features include a 5.8-inch central display, the COMAND interface, mbrace2 telematics/smartphone integration, Bluetooth phone and audio connectivity, and a sound system with a CD player, auxiliary audio jack, a USB audio jack and HD radio. The C300 4Matic adds all-wheel drive and a V6 engine. In coupe form, the C250 gets a panoramic sunroof, split-folding rear seats, additional driver seat adjustments, driver memory functions and a power tilt-and-telescoping steering wheel. The coupes Premium 1 package adds the heated seats and the Harman Kardon system with satellite radio and an iPod interface. Every 2013 Mercedes-Benz C-Class comes standard with stability and traction control, antilock brakes, a driver knee airbag, front side thorax airbags, front side pelvic airbags and full-length curtain airbags.